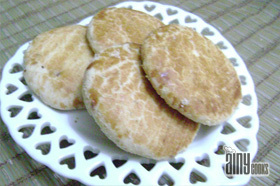 This recipe is very healthy and delicious. 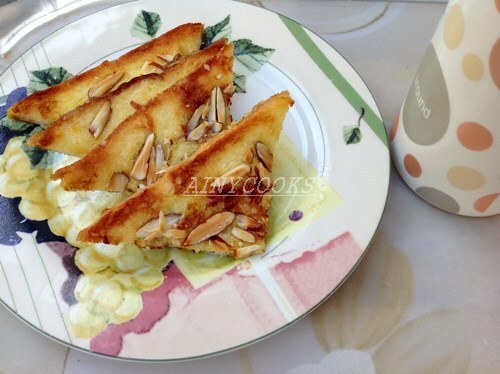 You can use pistachio along with almonds too. 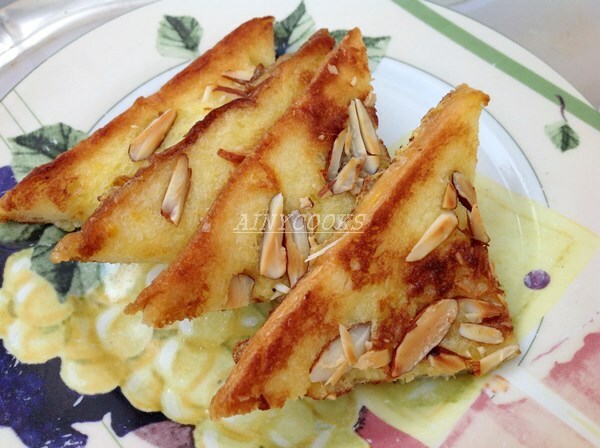 Crunchy and crispy Almonds and sweet bread you will defiantly like. Beat eggs, milk and sugar. Add vanilla essence too. 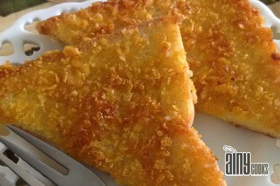 Dip toast and sprinkle almond flakes on one side of toast and slide this side carefully in greased pan. Fry on low flame till light brown. Turn the side and fry again. Cut in two and serve hot.